It was less than three years old. New York is perhaps the best city in the world for food delivery. Delivery app mainstays like Seamless and Grubhub have wide-ranging offerings in all five boroughs. Specialty delivery services like Postmates can bring lunch in from almost any restaurant in the city. 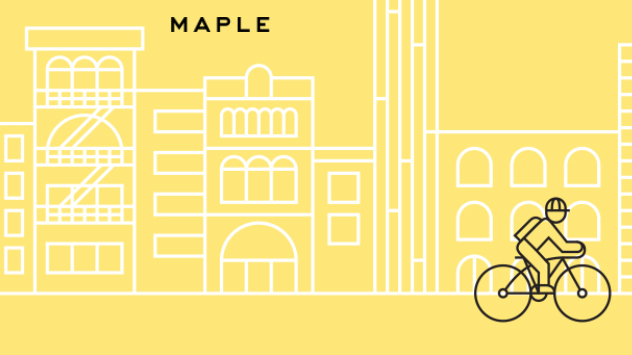 And then there was Maple—the upscale startup that aimed to revolutionize the food delivery space by making delivery of the highest quality food its first and only goal. But today there is one less app on New York City’s iPhone screen, because Maple announced that it is shuttering its New York delivery operations. But in a statement sent out to Maple users CEO Caleb Merkl admitted that the company was just not in a sustainable place. While an incredibly difficult decision for Akshay [co-founder] and me given the effect on our core operations, it became clear that we needed to close the Maple operation here in New York and look for a partner with scale—one that would allow us to leverage all that we had built across a broader platform. Merkl went on to say that Maple had connected with UK-based food delivery service Deliveroo to. In a statement to Food & Wine a representative for Maple said that in practice, what this will mean is that Deliveroo will acquire (and presumably) adopt Maple’s technology and that several of the company’s top brass—including Merkl—will join Deliveroo’s operations in London. Ultimately, Maple may have been an idea before its time. We’ll have to see if other upscale delivery efforts, like David Chang’s Ando, can crack the delivery mold. But for now New Yorkers will just have to return to their Seamless and their Grubhub.